For as bright as the holidays may be, it is equally dark for many, giving us the opportunity to live out our divine call to counsel in helping others find peace this Christmas! The holiday season is again upon us ushering in a seemingly magical transformation of social life. Celebration is the theme of the season, and real life, with all its blemishes and pains, is brushed away into the dark corners of silence. However, if one chooses to peek into the shadows, he or she will see the harsh realities that exist and are even magnified during the Christmas season. The desired “peace on Earth” is disrupted by intrusive circumstances such as difficult family members, the death of a loved one, financial strain, isolation, and loneliness. To ignore those visited by such unwelcome strangers is to fail in living out the very spirit of this sacred season, and our call as biblical counselors. Difficult Family Members: Encourage others to live for the higher, more glorious purpose for which they were created. We should not fixate on how irritating or frustrating a family member may be or how others may need to change. Instead, help counselees recognize a flawed family member’s character is a powerful context in which they can (and are called to) change in order that they may more accurately reflect Him (Romans 8:28-29). 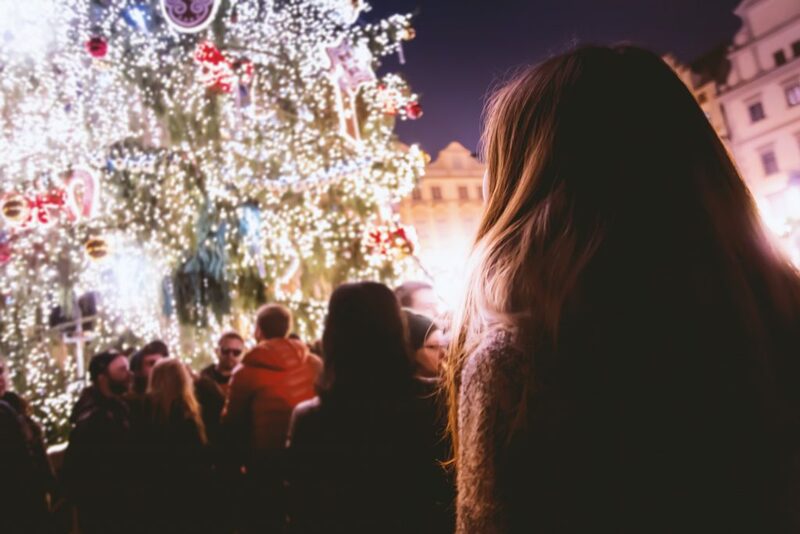 First Christmas Without Him or Her: There is no silver-bullet to relieve the pain of loss, however, keeping Christ at the center of grief can make all the difference. As biblical counselors, we can help others recall the precious gift of the beloved Redeemer in his giving of his own life so that death would be eternally destroyed, then offer thanks for this amazing sacrifice. Secondly, we can help counselees use the intensity of their loss to push them towards relieving the pain of another through kind words, showing interest, or offering a loving gesture in order to “love God” and “love neighbor.” And finally, we can encourage them to thank God for the good times and the precious memories. Financial Strain: Remind counselees this season to be a good steward of the resources God has given them. We must all resist seasonal and cultural pressures to overspend simply for the sake of pleasing others. Use this year to contemplate the wisdom of Paul who said, “In any and every circumstance, I have learned the secret of facing plenty and hunger, abundance and need” (Philippians 4:12). Isolation and Loneliness: If the holidays find your counselee spending more time alone than that to which they are accustomed, help them consider the following: they are wise to purpose in their hearts to be focused on loving God and others this Christmas season (Matthew 22:37-39). And when it seems they are alone, encourage them to take refuge that God is there. Christmas is certainly a time of joy and celebration. However, as biblical counselors we must remain diligent in our mindfulness of those around us who may be enduring a rather difficult season in their personal lives. It is a prime opportunity to live out our divine call to counsel!